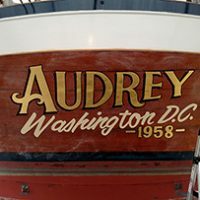 We design and install custom boat names of every sort. 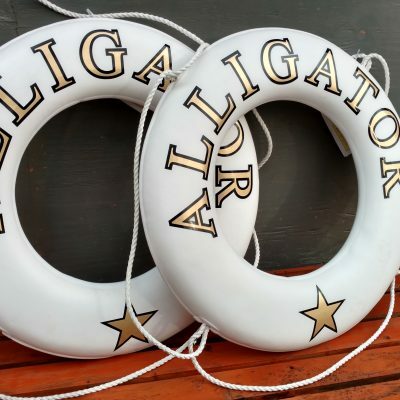 We use only premium cast vinyls and other top quality materials. 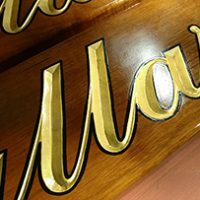 We also have 23 karat gold leaf film and silver leaf film available with a variety of finishes; engine turn, florentine, burnished, brushed and chrome. 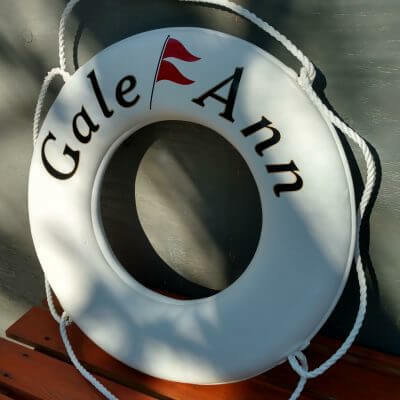 Additionally we provide matching custom life rings and hand-carved teak quarterboards with gold leaf. 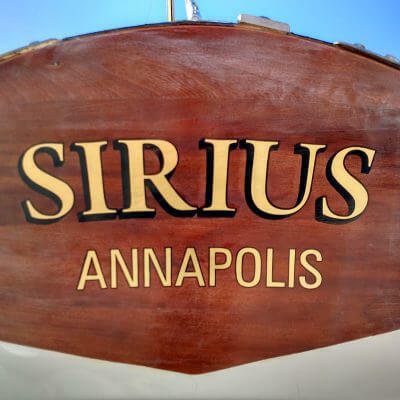 Generally we service marinas and piers in Annapolis and Edgewater. 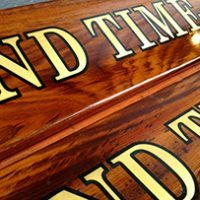 We also offer traditional gilding by hand on wooden powerboats and wooden yachts.